"Buddy, Can You Spare an IP Address?" It sounds ridiculous, but some IT heads for major companies just might be saying something like that to someone like Mr. Elvis Velea. That's because Mr. Velea is an IP address broker: an entrepreneur who is simply taking advantage of the law of supply and demand. When the Internet's governing bodies created universal guidelines that would define the Internet, they decided on an IP addressing system known as IPv4. That was in 1981, which may seem like ancient history—and it is, in terms of personal computers. IPv4, they knew, would be able to unleash more than 4 billion IP addresses on the world. As the Wall Street Journal pointed out in a recent article, that "seemed like plenty at the time." But May 2015, only 3.4 million of the IP addresses were available in the American Registry for Internet Numbers (ARIN)—the organization that distributes, or allocates, IP addresses to organizations in North America (ARIN handles about 30% of the IP addresses that exist globally). The head of ARIN expects the IP addresses to be gobbled up by the end of summer like hot dogs at a Fourth of July barbecue. That may seem like very serious new, but it's not the end of the world nor the end of the Internet. Companies and consumers (that is, everyone who connects to the Internet today) will still be able to connect the Internet as always. And as it's been pointed out in other articles on the "WhatIsMyIPAddress.com," a new IP addressing system, called IPv6, is and has been in place for some time, and it offers up an incredible number of IP addresses that will save the day for network operators. Nothing other than the IP addressing format is changing—that' significant, but it's not going to hurt online connections or Internet performance. And this time around, everybody is saying that the world won't, and can't, run out of available IP addresses. However, until companies take the time to upgrade all their networking equipment and systems, they will not be able to obtain any more IP addresses, which could hurt their business if their goals included expanding their data centers, increasing the scope of their business, or expanding their territory globally. These upgrades, according to research and other reports, won't come without costs—yet another reason that companies delayed implementing companywide changes. Gartner Research reports that a "companywide migration" to IPv6 will cost 7% of a company's entire IT budget for one year. That's significant: In total, organizations spent $2.2 trillion on IT expenditures in 2014. Other reports say that less than 10% of companies (as of May 2015) have prepared their network systems to be IPv6 ready. Companies who weren't ready to tackle the costs and work involved with the IP transition—but who still need NEW IP addresses—found a special way to handle the looming shortage of IP addresses—they buy what's available on the open market. Companies both large and small have are looking to organizations that have extra, unused IPv4 addresses up for grabs. Now there's a deal to be made. These IP addresses come at a price, although those amounts aren't always made public—however, the WSJ article did say one IT executive said the situation IP address situation as the shortage loomed was "dog eat dog." Jan. 2015 - Amazon.com bought four million IP address from DuPont Co.
Feb. 2015 - Microsoft obtained four million addresses from pharmaceutical giant Eli Lilly & Co.
March 2015 — Microsoft acquired from Xerox Corp. 2 million IP addresses. This isn't like one neighbor loaning another a cup of sugar or flour. For example, Merck & Co. (also a pharmaceutical organization) has parted with about 7 million IP addresses over the past several years. * According to reports, a Merck spokesperson said they simply began to "identify and free up" the IPv4 addresses it controlled...which is a polite way of saying they took advantage of a money-making opportunity. IP stand for innovative positioning. Back to Mr. Velea. He saw the future and positioned himself well for it. Assuming correctly that many organizations would probably be slow to transition to IPv6, he worked himself into the picture and started brokering IPv4 addresses, bringing sellers and buyers together for a price. 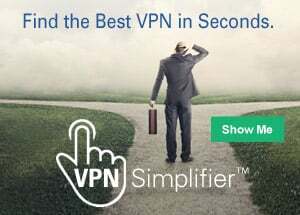 With no more IPv4 addresses available anywhere, Mr. Velea's shrewd moves and worldwide connections will likely pay off. * Source: IPv4 Market Group, as cited in the WSJ.